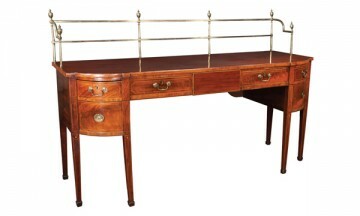 Inlaid Sheraton mahogany sideboard with brass gallery, string satinwood inlay on square tapered legs with spade feet. Brass gallery fully attached with no weakness. All parts original. Circa 1790.